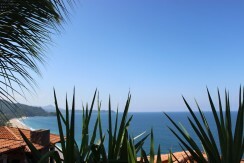 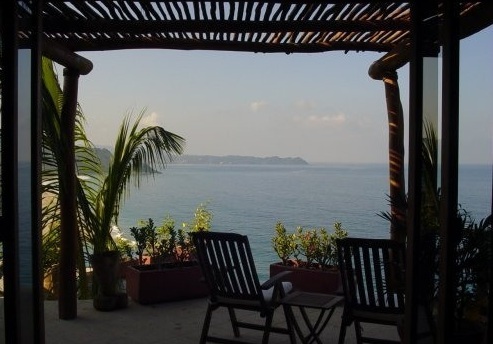 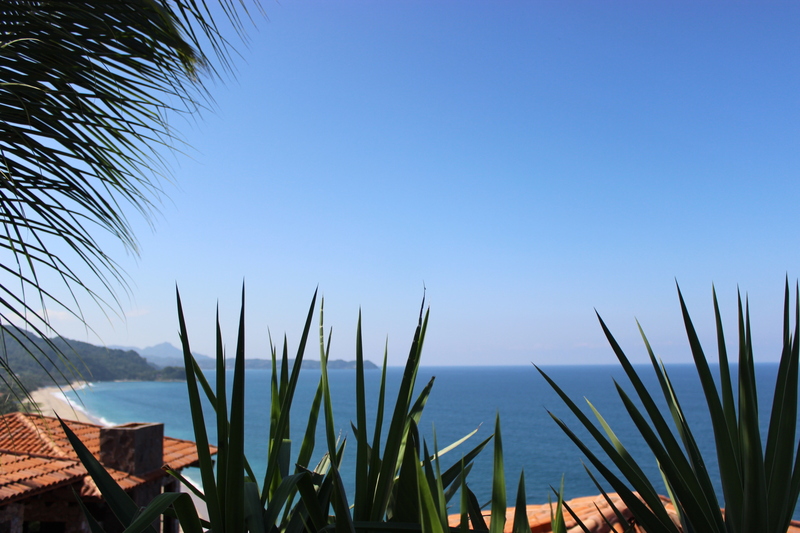 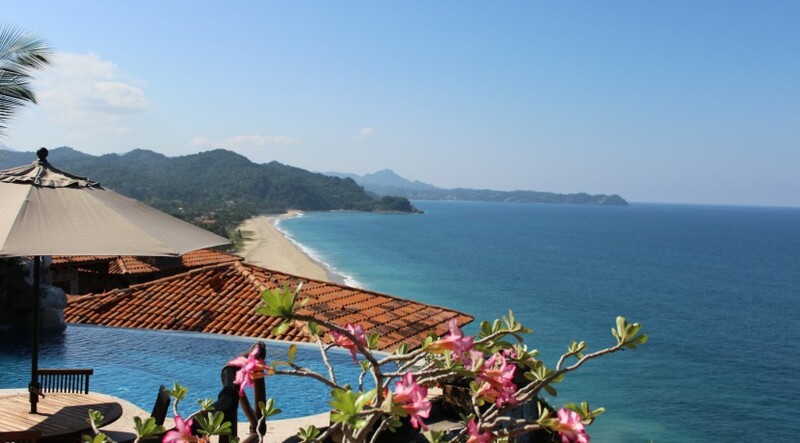 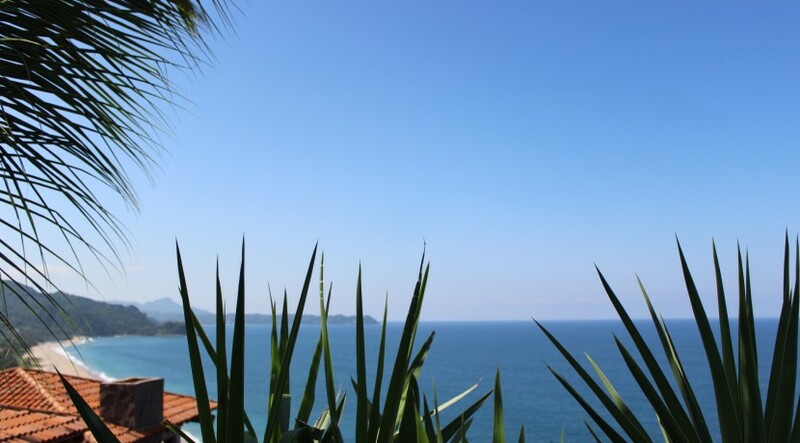 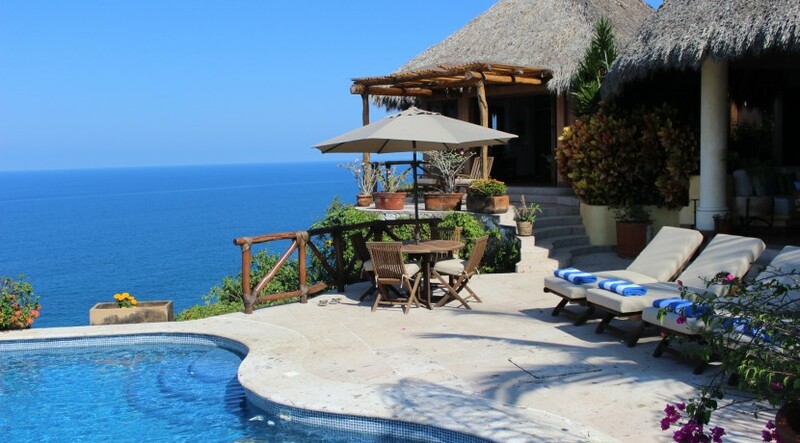 This almost new 4 bedroom 4 bath oceanfront home is breathtaking with spectacular ocean views. 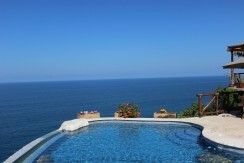 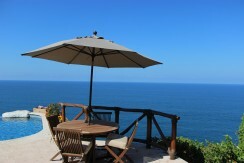 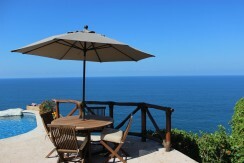 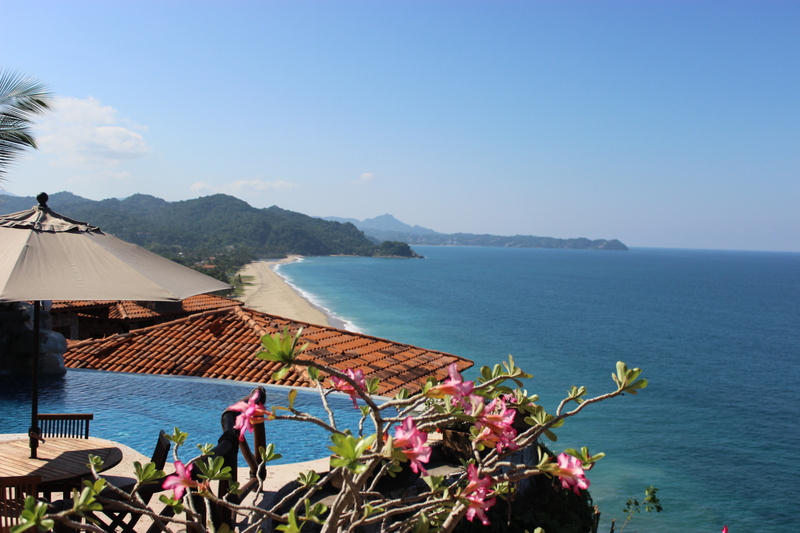 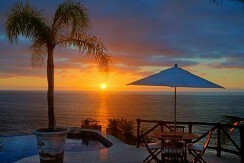 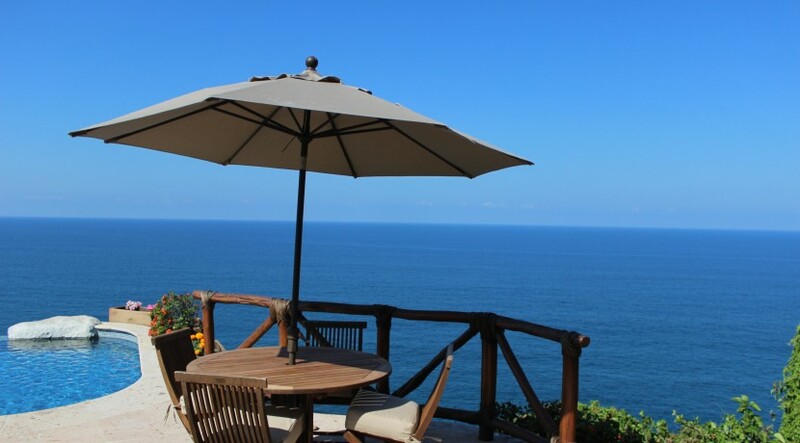 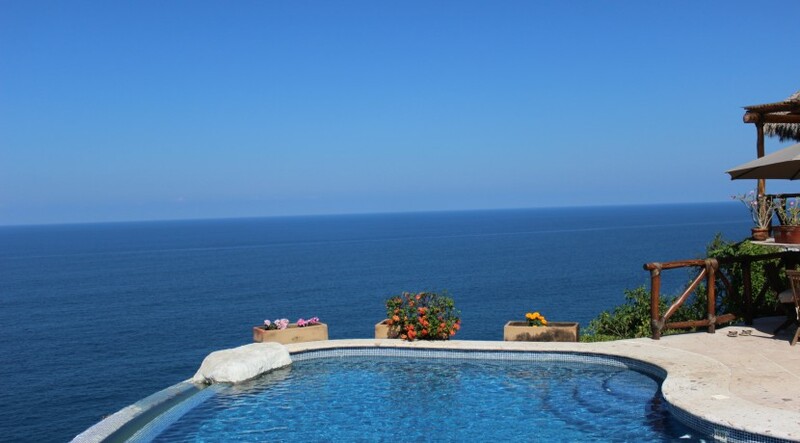 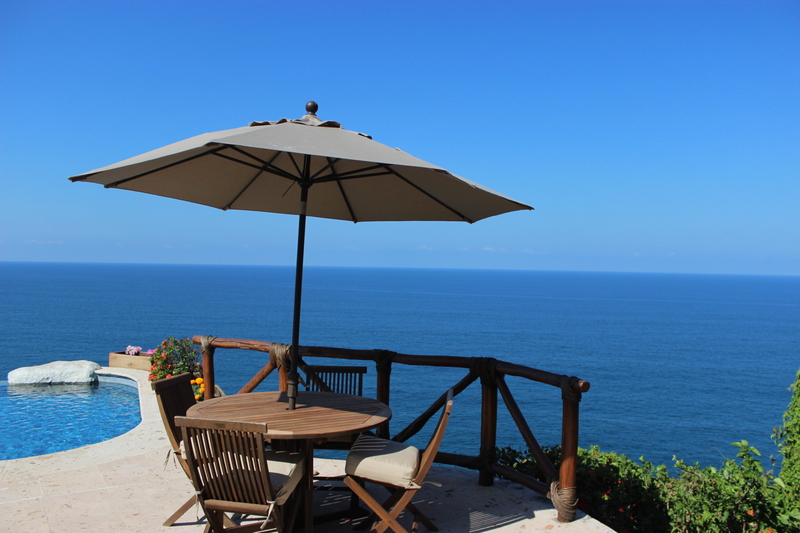 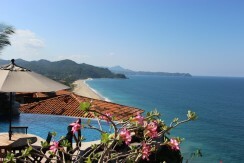 Watch the whales and dolphins swim by as you are lounging on the deck or in the infinity pool. 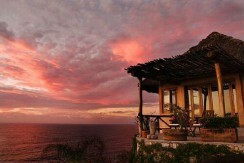 This one of a kind home perched on the edge of the cliff right over the Pacific Ocean. 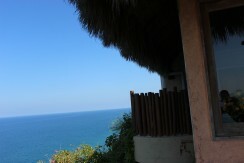 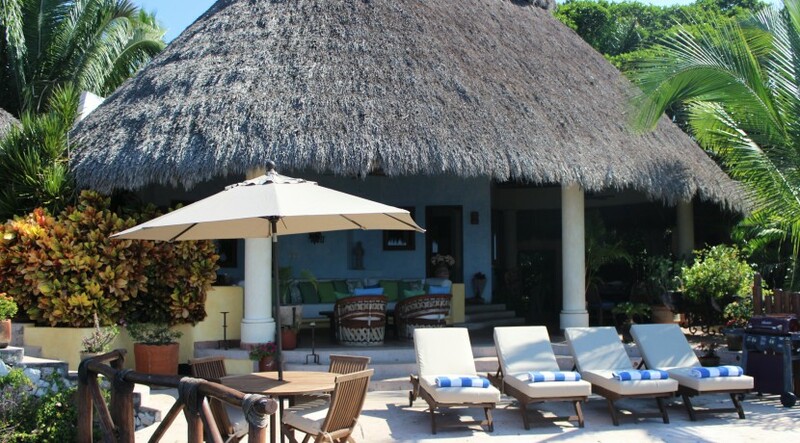 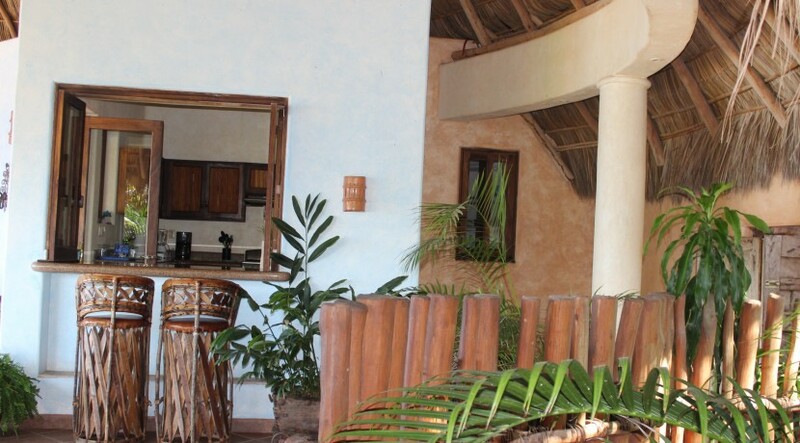 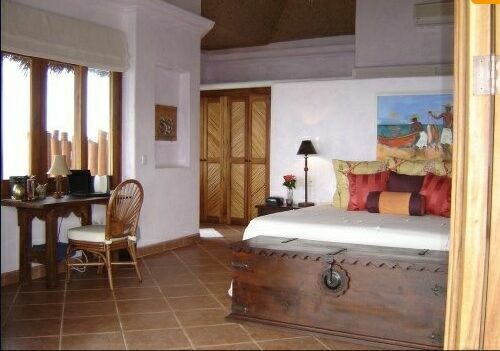 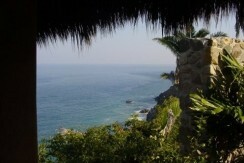 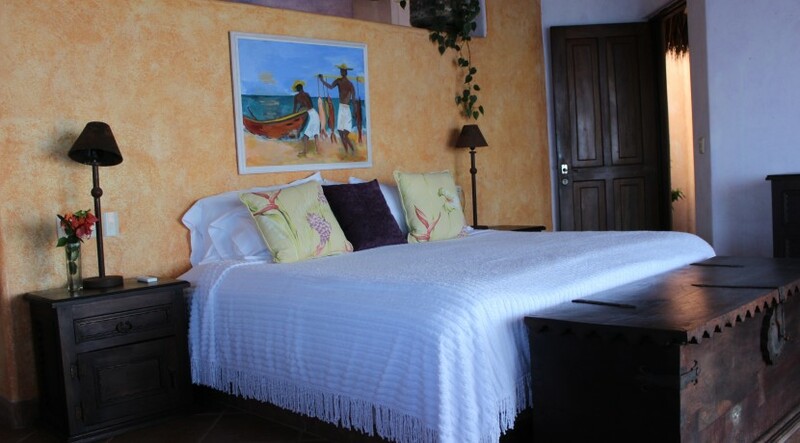 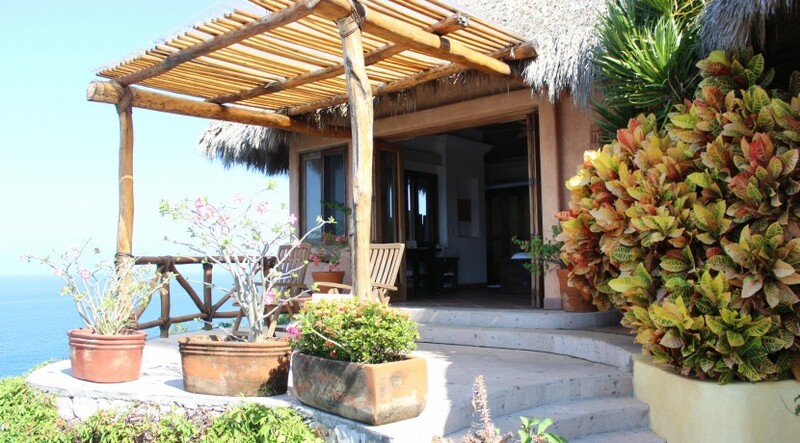 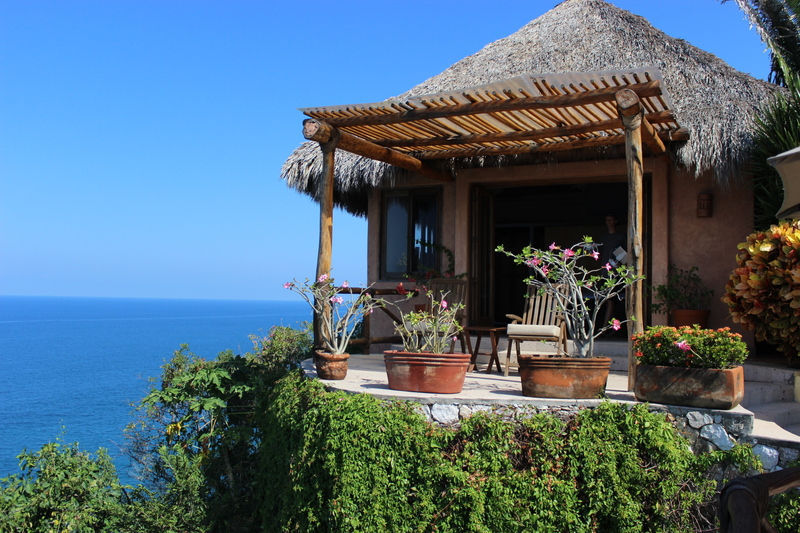 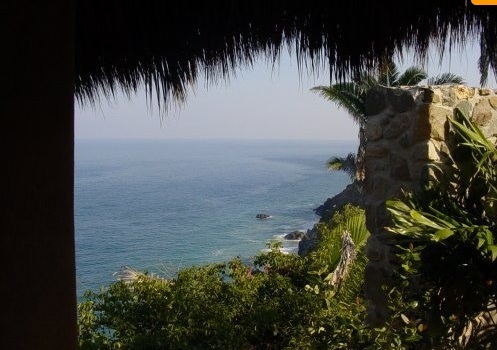 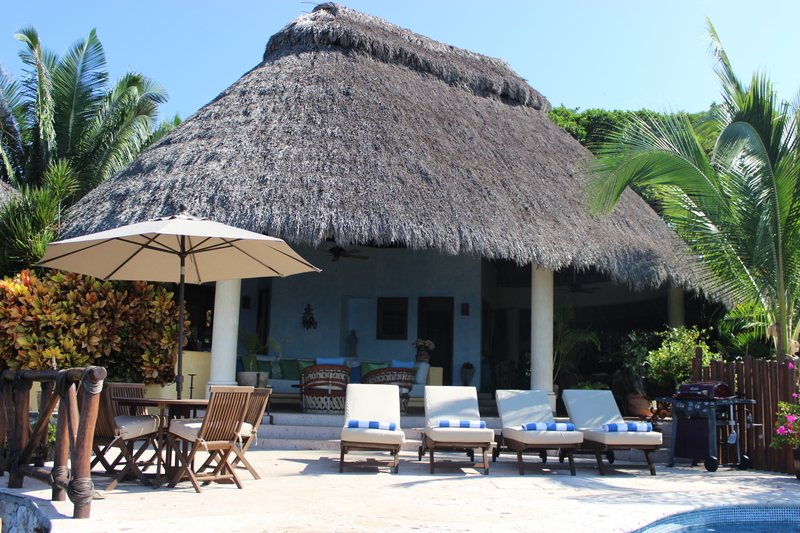 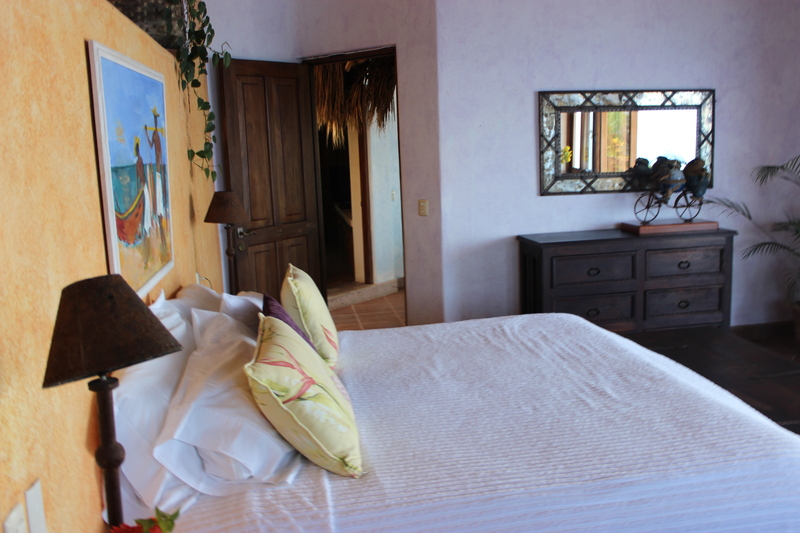 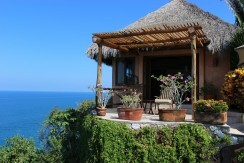 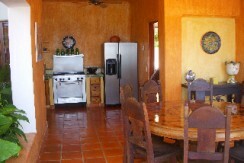 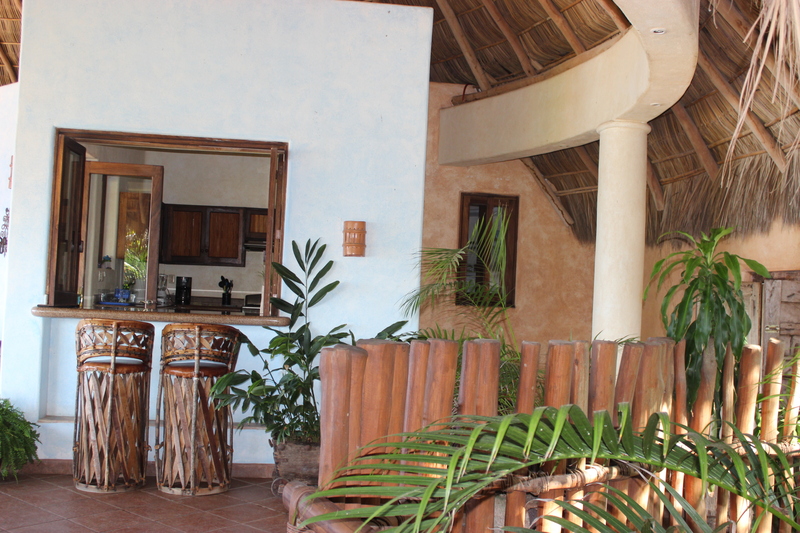 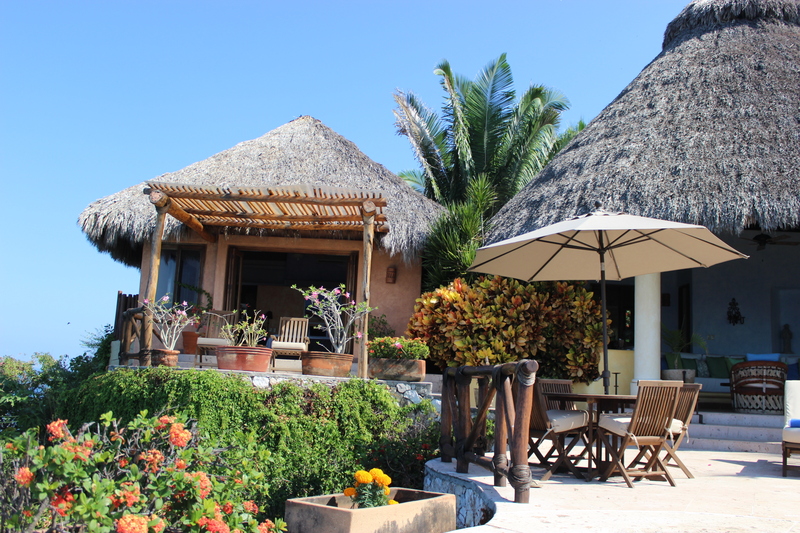 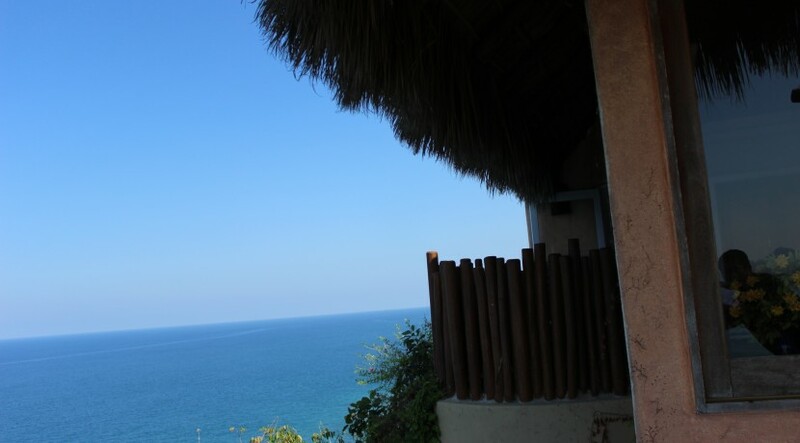 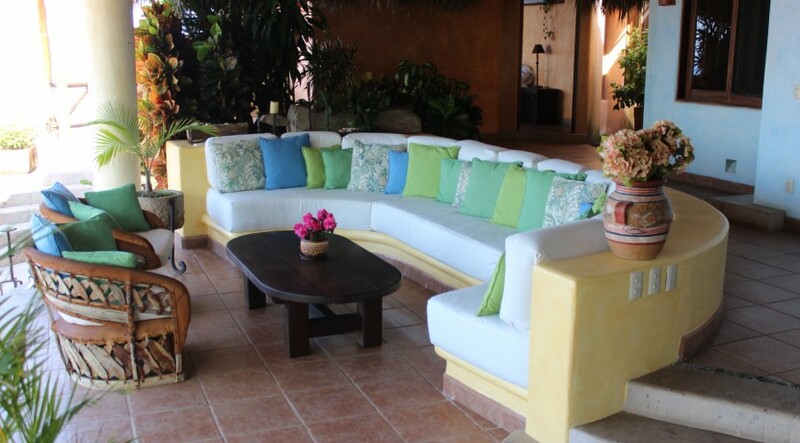 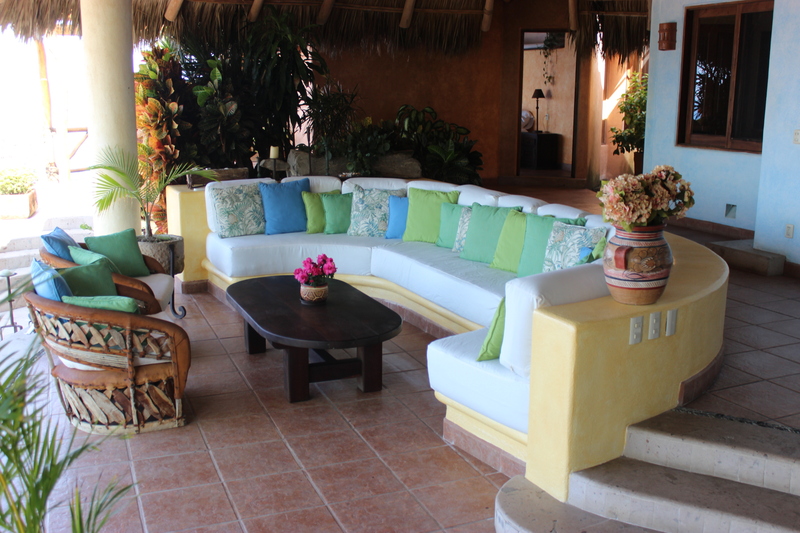 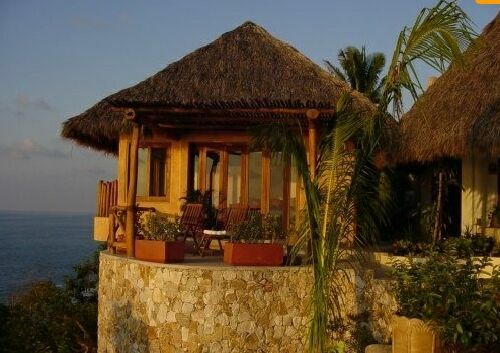 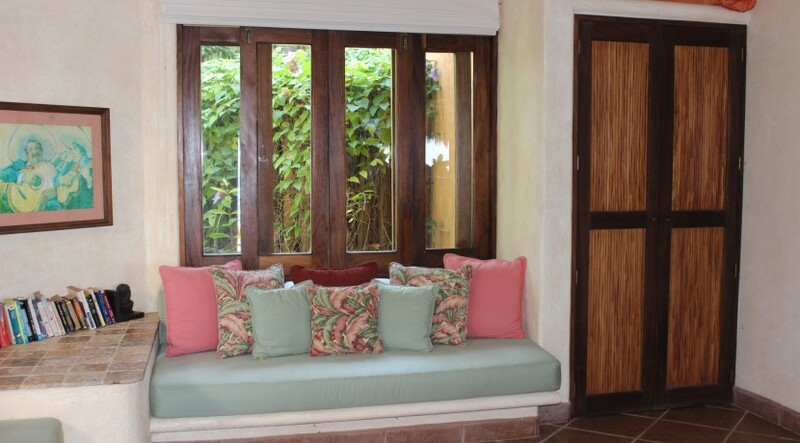 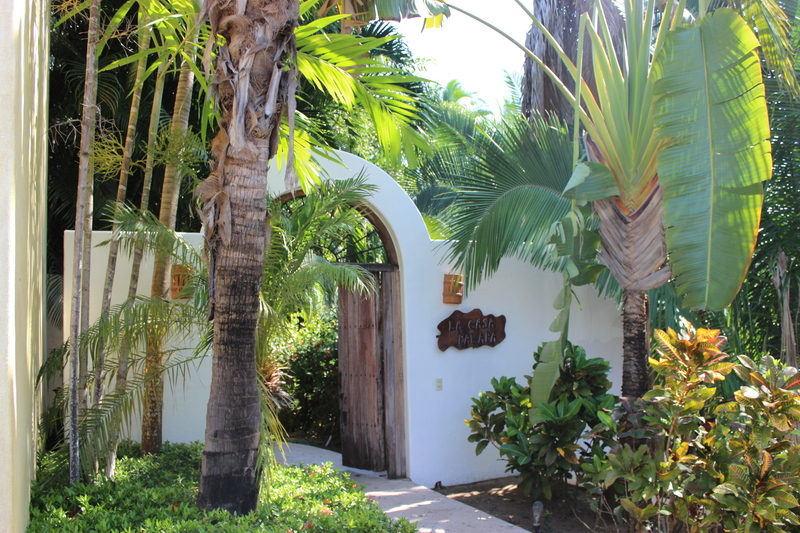 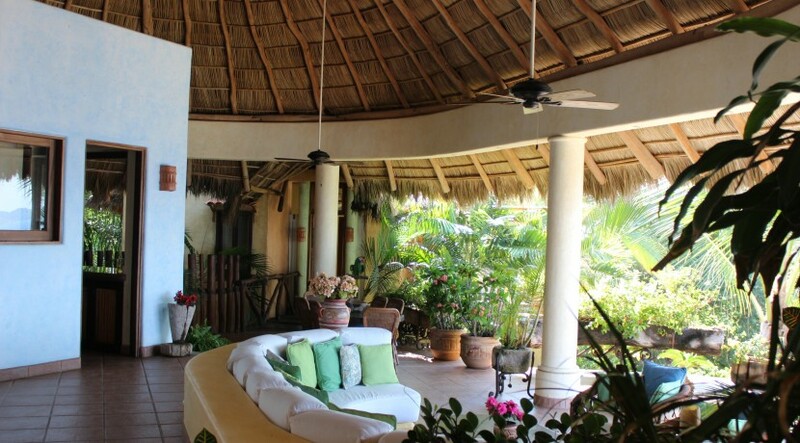 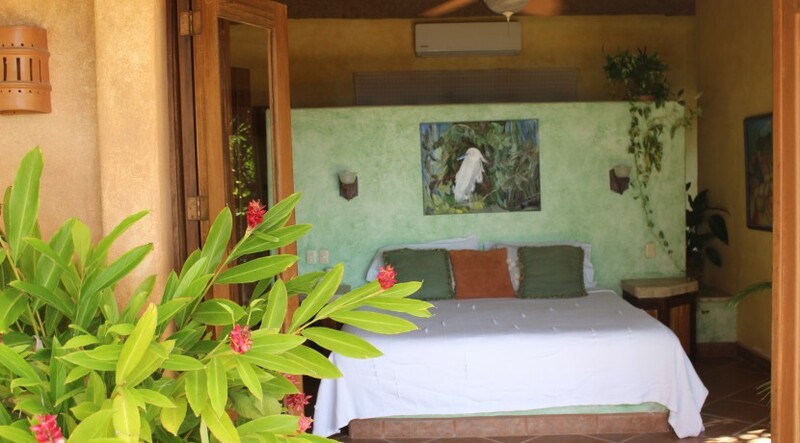 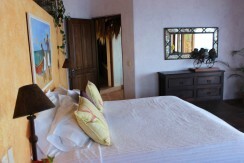 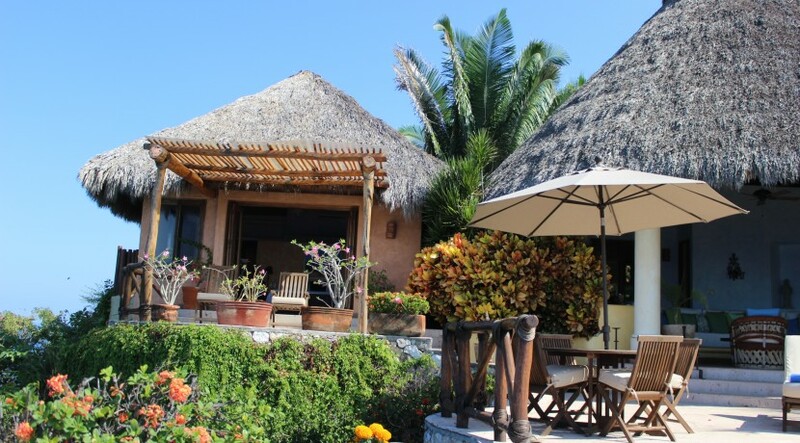 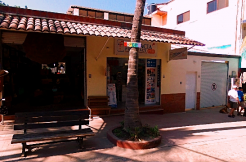 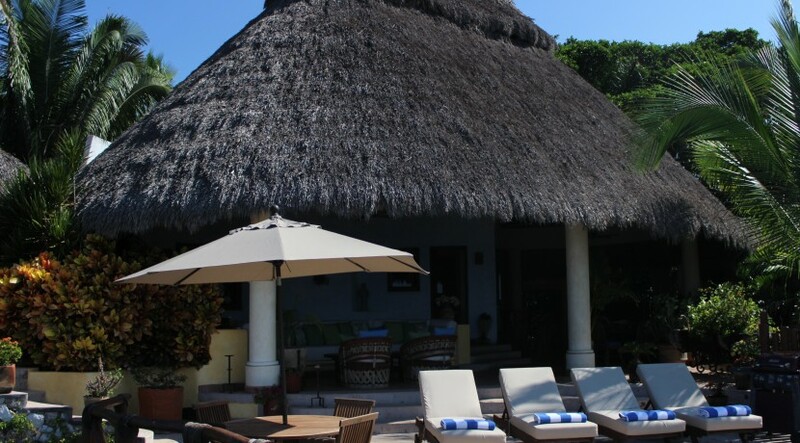 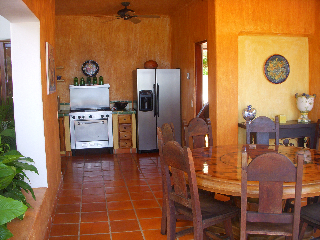 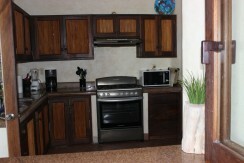 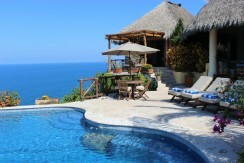 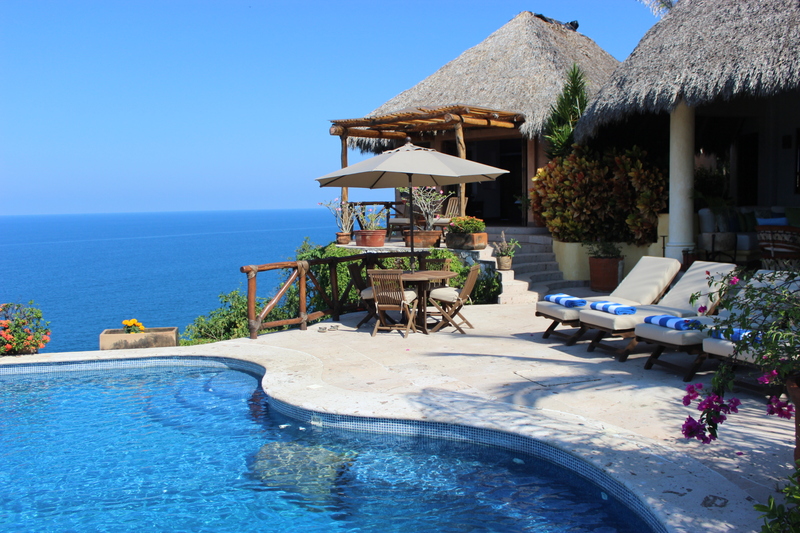 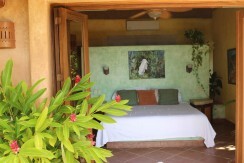 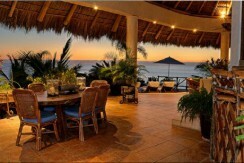 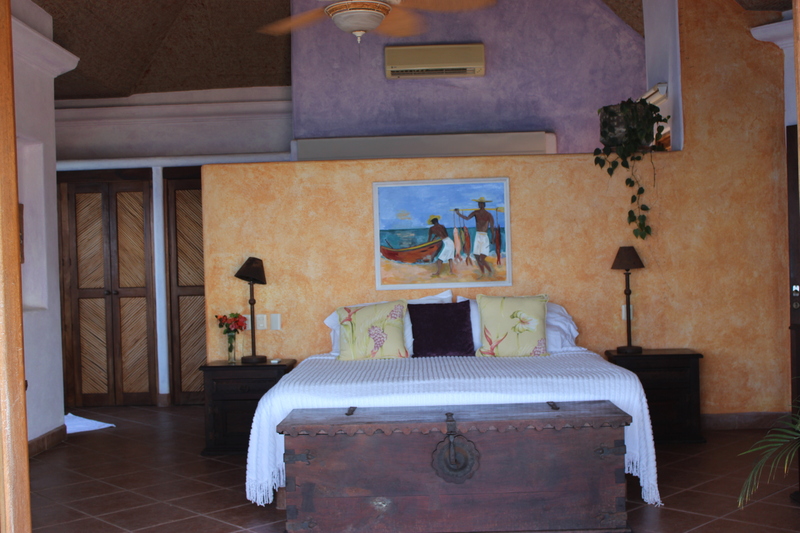 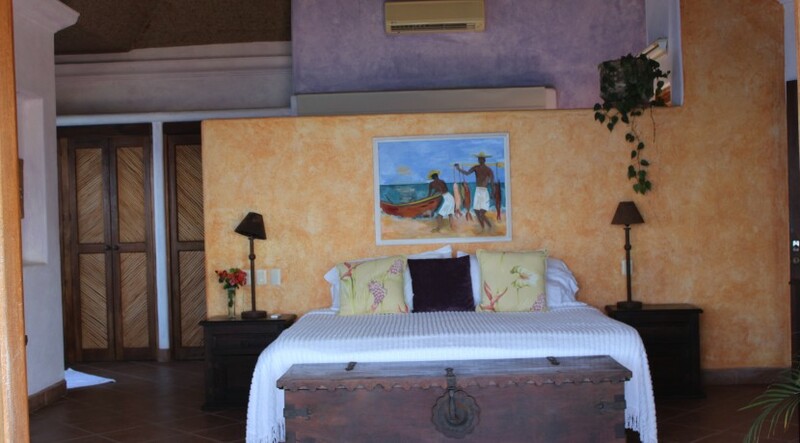 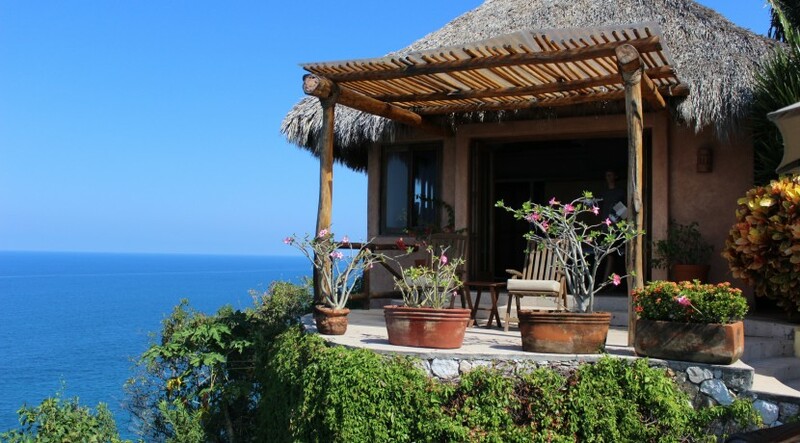 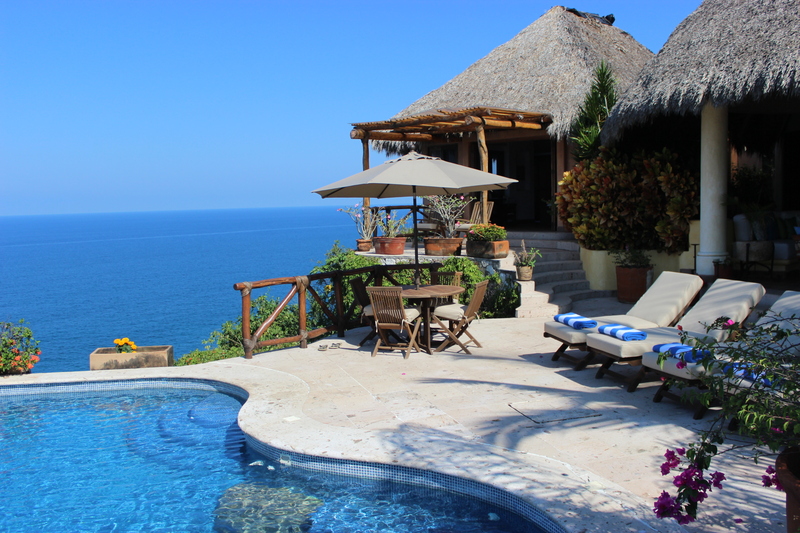 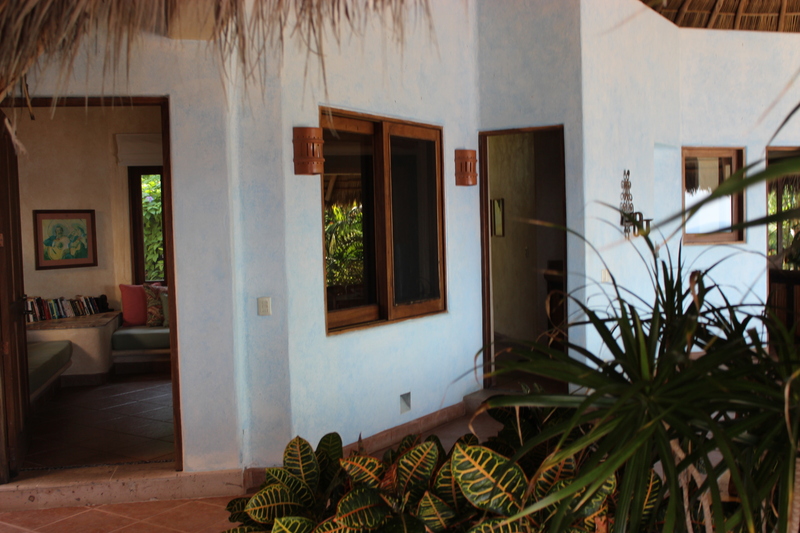 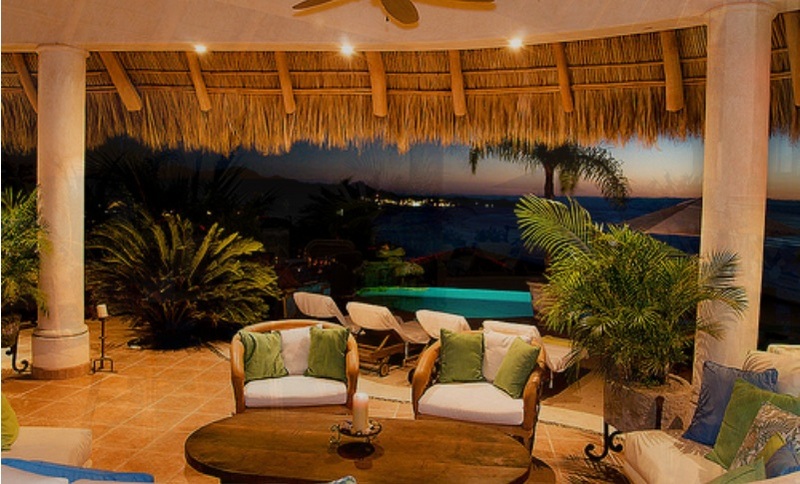 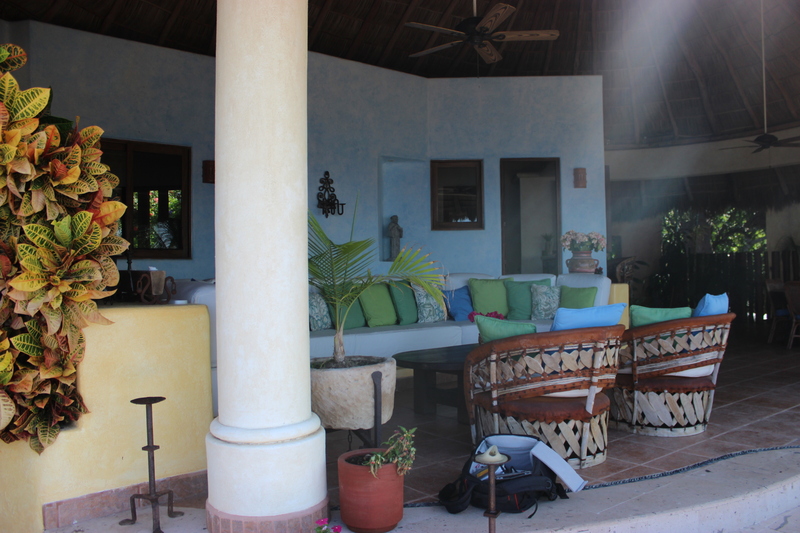 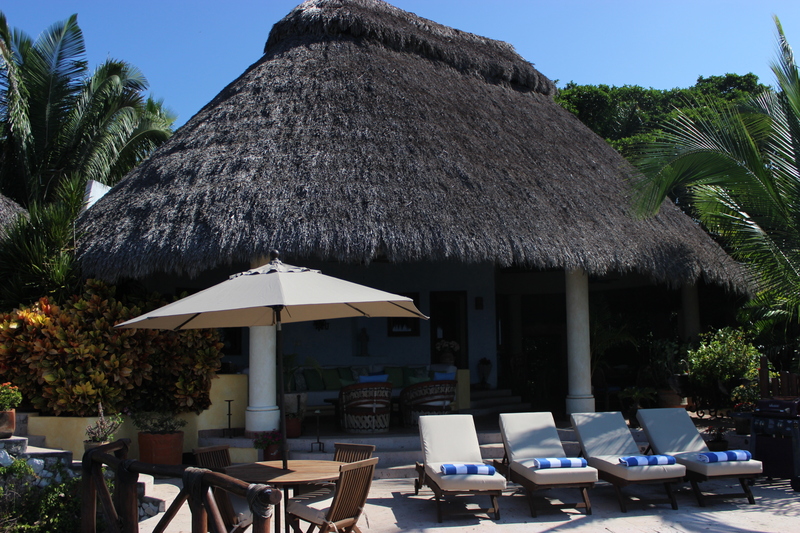 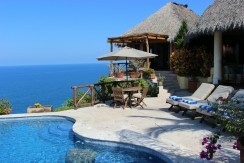 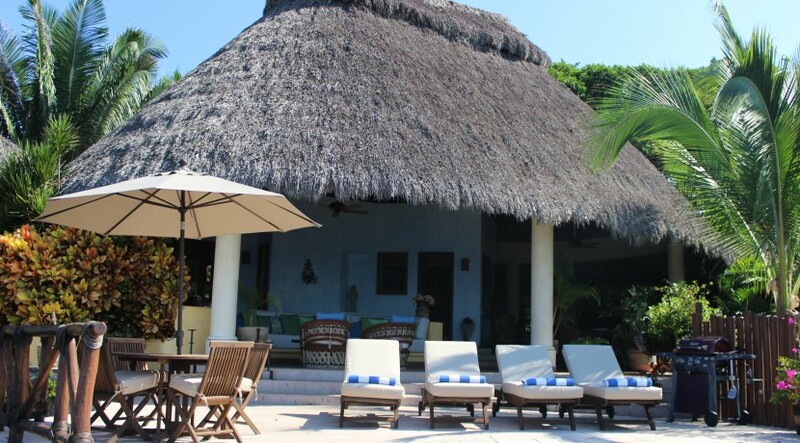 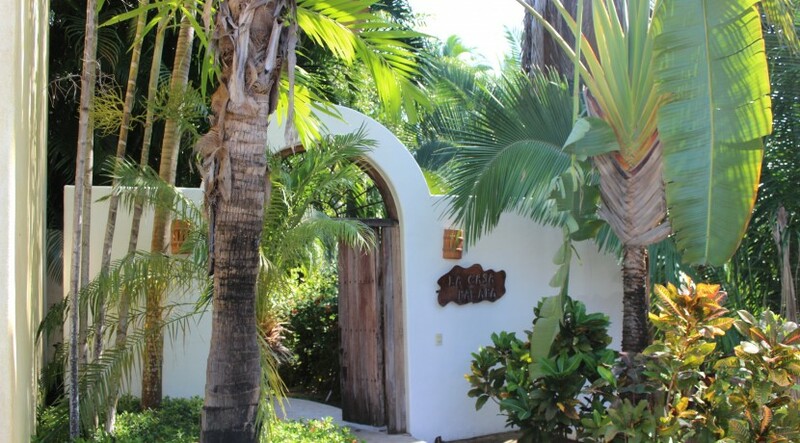 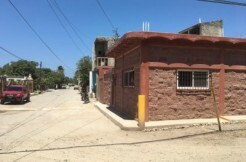 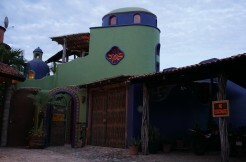 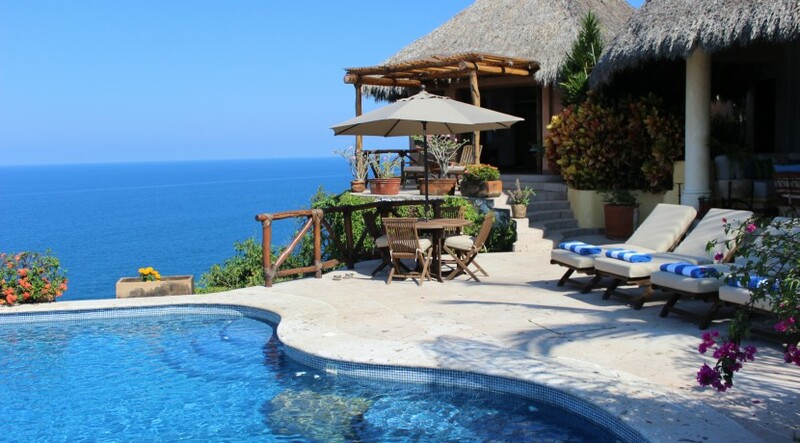 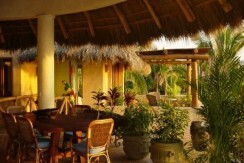 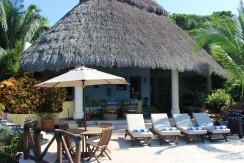 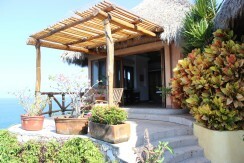 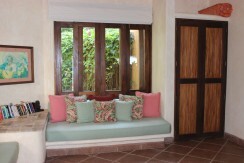 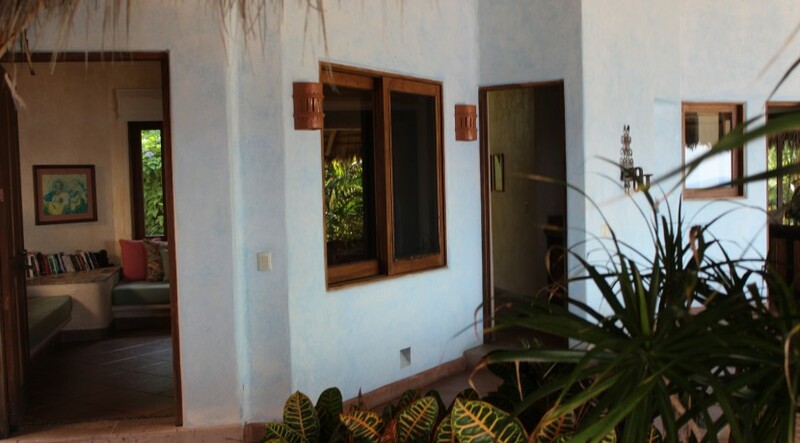 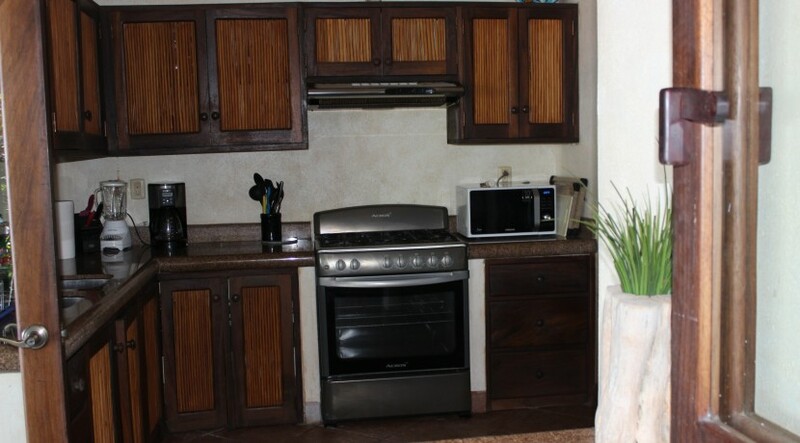 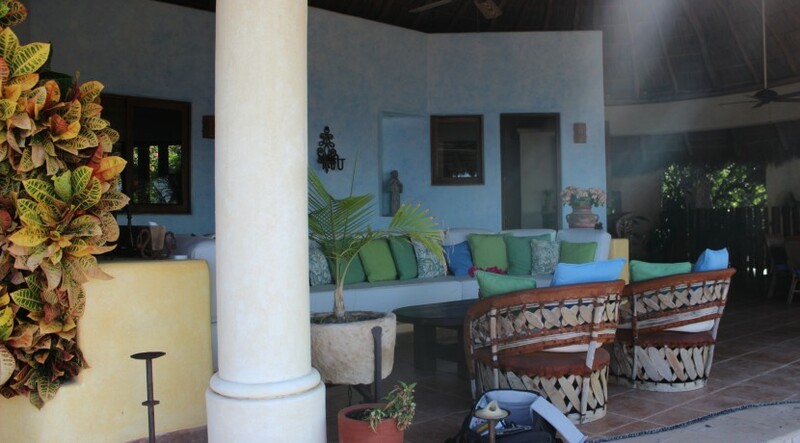 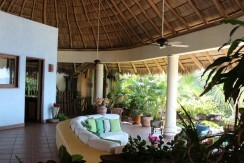 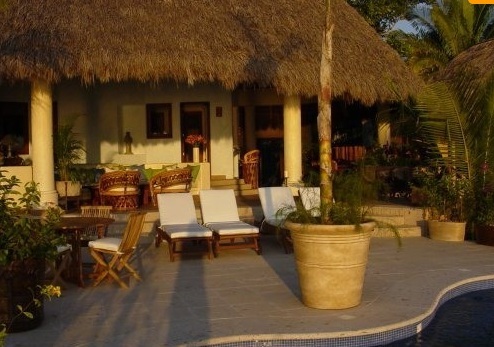 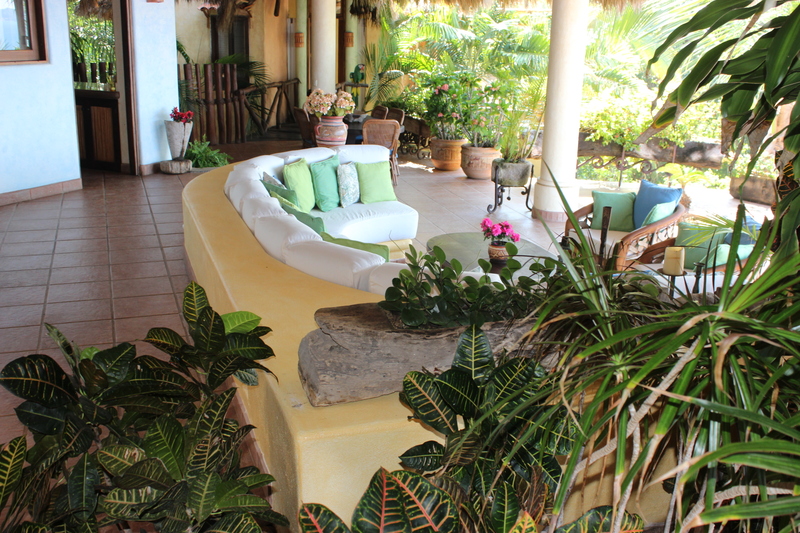 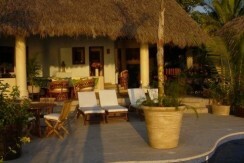 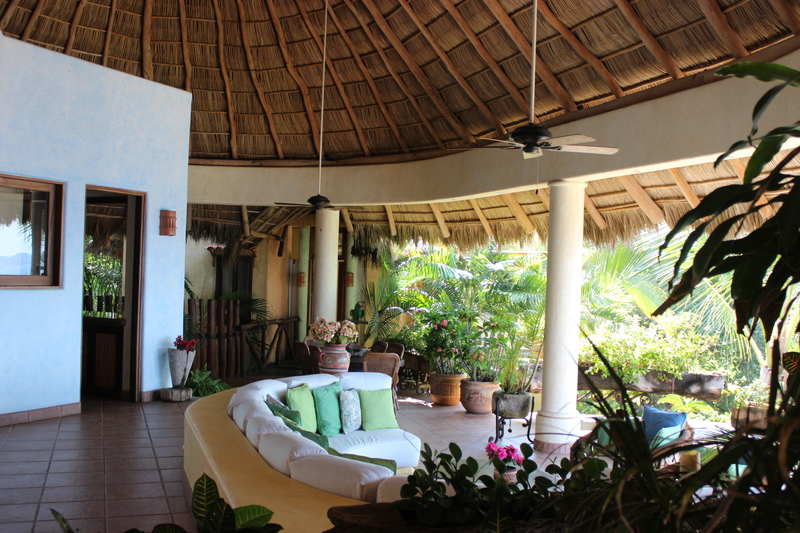 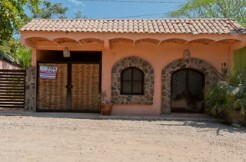 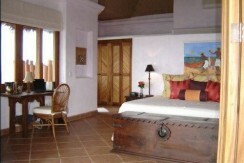 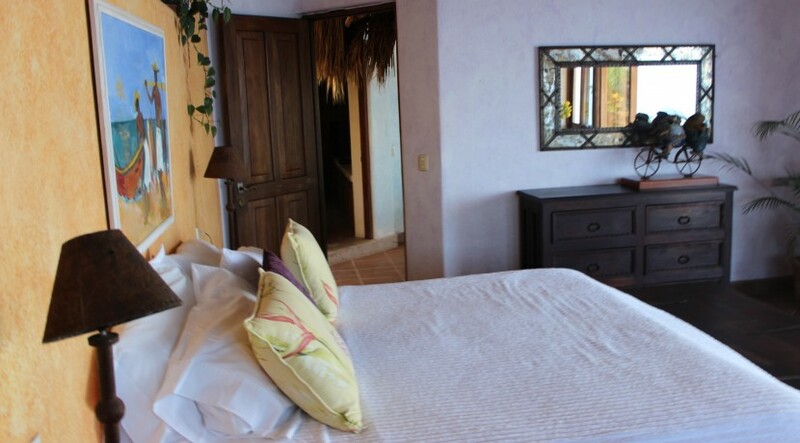 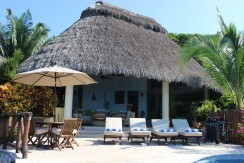 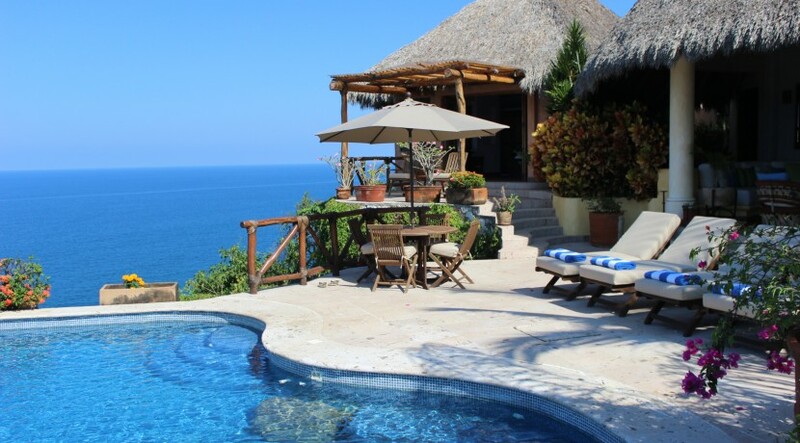 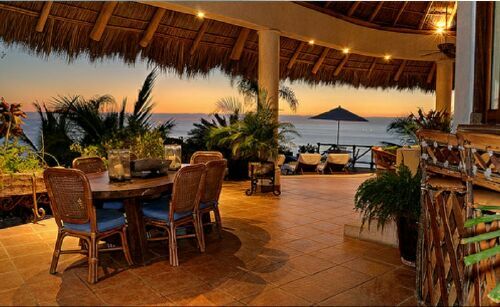 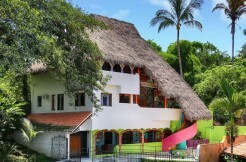 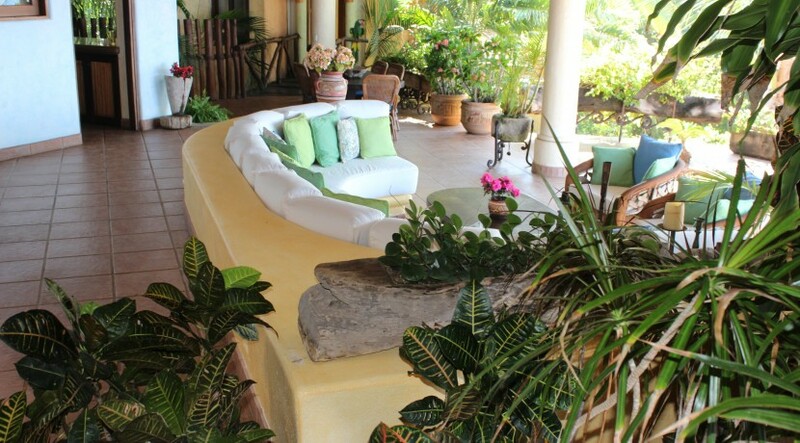 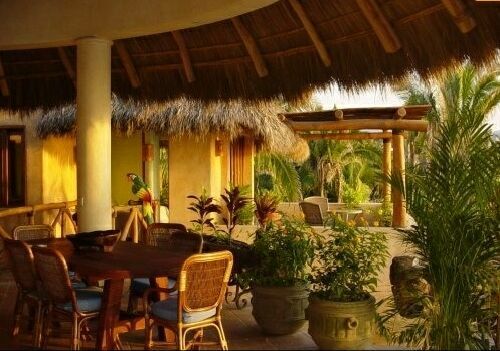 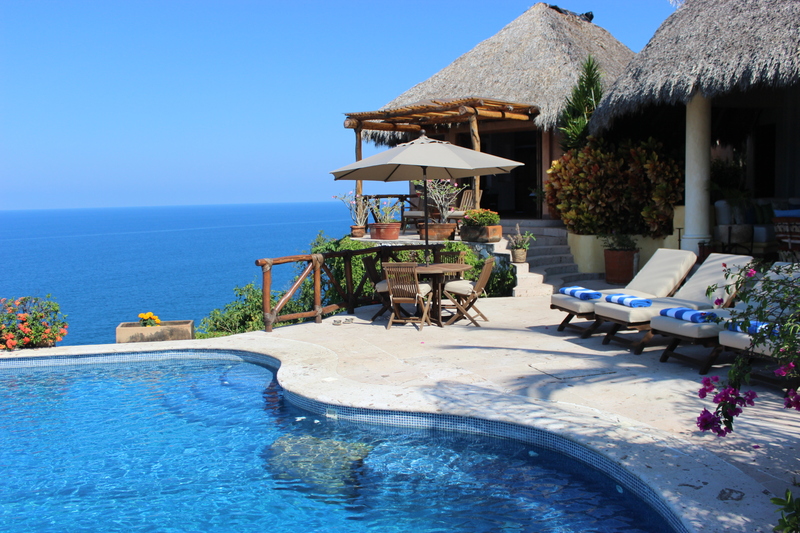 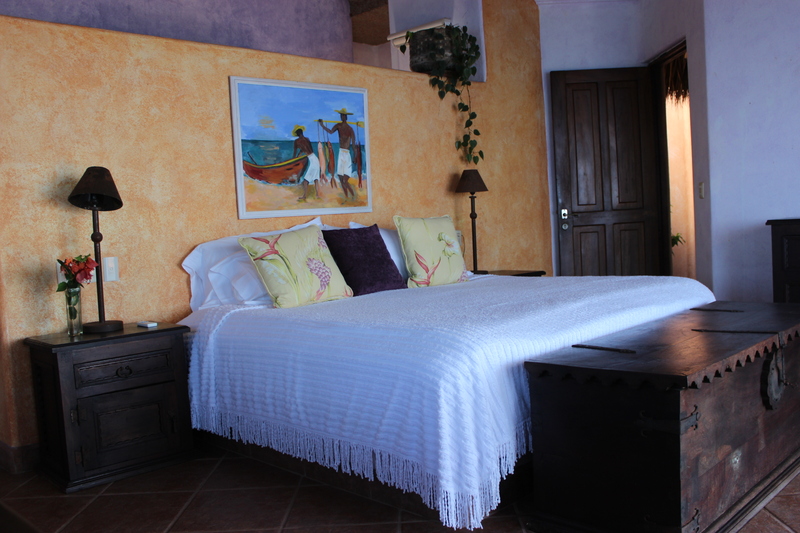 The main living area is under a beautiful palapa and the bedrooms and den are enclosed and air conditioned. THIS IS LUXURY LIVING FOR THOSE WHO REQUIRE THE FINEST. 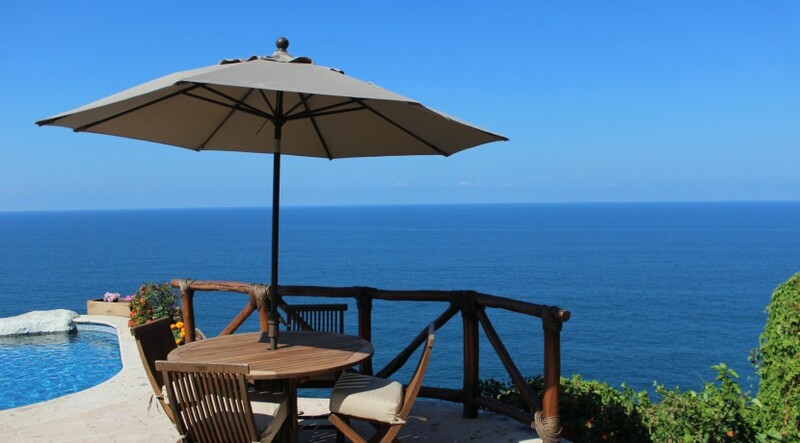 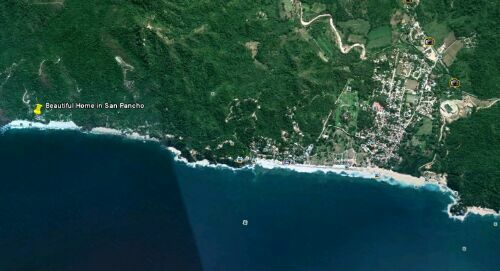 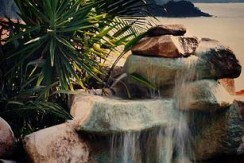 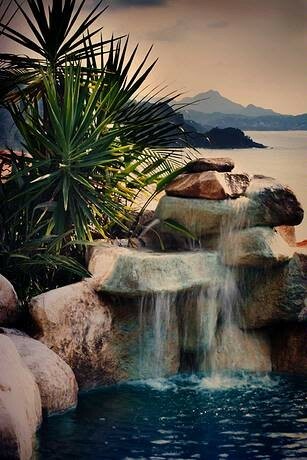 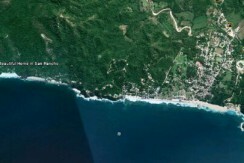 Your days can be filled with activities such as swimming, fishing, surfing, kayaking, snorkeling, whale watching, horseback riding, bike riding, and hiking, or you can just lounge by the pool or on the white sand beach and wait for the colorful sunset as the sun drops into the beautiful, blue Pacific. 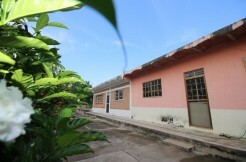 Construction size 560 M2 (6,025.60 SF). 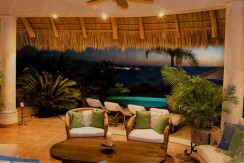 Titled, ready for bank trust.